If you need help paying for college, there are numerous options available to you. You may be eligible for Scholarships, Grants, Student Loans, Our Tuition Installment Plan, Veterans Benefits, or even a Work Study Program. Read the information below to discover which types of financial aid may be right for you. If you need help, please don’t hesitate to contact our Financial Aid Department for assistance. Summer Semester 2019 – Students should submit scholarship applications and be registered by April 12, 2019. Fall Semester 2019 – Students should submit scholarship applications and be registered by July 1, 2019. Registration schedules that remain unpaid by the close of business on each fee payment date will be cancelled. Any classes registered for after the first due date for Summer and the second due date for Fall must be paid on the day of registration or they will purge. 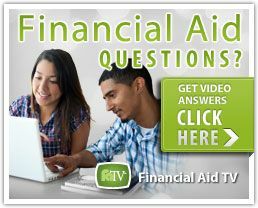 For your convenience, we’ve compiled information about many kinds of financial aid. Select a topic to learn more. Financial aid from all sources cannot exceed the student’s financial need. The cost of attendance (COA) includes tuition, fees, books, supplies, room, board, transportation, and miscellaneous expenses. The expected family contribution (EFC) is determined by the Federal Needs Analysis using the information the student/parent furnish on the FAFSA. Your EFC is the amount that you are expected to provide toward your college costs. Other factors that can affect the cost of attendance are individual program specific expenses. Lab/Distance Learning fees are not included. In accordance with the Higher Education Act, every college and university in the United States that participates in federal student aid programs must make a Net Price Calculator available on its website. Each school’s Net Price Calculator, sometimes referred to as NPC, uses institutional data to provide estimated net price information to current and prospective students and their families based on a student’s individual circumstances. The goal is to help students and parents have a better idea of the total costs of attending college and the “Net Price” after deducting anticipated grant and other financial aid. Students should expect to spend approximately 15 minutes to complete the net price calculator process. You can still use the calculator without these. However, if you use estimated information, the results may not be accurate. Read the information below to learn more about the FAFSA. Fill out the FAFSA online. Complete anytime after October 1 of the award year you wish to receive aid. Award year = Fall, Spring, and/or Summer Terms. Students and parents are required to use an FSA ID. Your FSA ID is used to confirm your identity when accessing your financial aid information and electronically signing your federal student aid documents such as the FAFSA. After you submit the FAFSA, you will receive a Student Aid Report (SAR). The SAR report will provide a tentative award amount. There may be other documents the school is required to obtain prior to finalizing aid. Please check PirateMail and Spyglass frequently for information regarding financial aid requirements. When you receive your SAR, you must review it carefully to make sure it is correct. It is your responsibility to request academic transcripts from all prior post-secondary institutions you have attended. These transcripts should be sent to the Pensacola State College Records Office. All prior college transcripts must be evaluated by the Pensacola State College Records Office before any federal or state financial aid can be awarded. If you have any questions, call 850-484-1680. Read the information below to discover which grants you may be eligible for. Awarded to undergraduate students in an eligible degree seeking program. Designed to assist students demonstrating financial need. Eligibility determined by information furnished on the FAFSA. The total award amount you receive may not be enough to cover your school expenses. In addition to the Pell Grant a student can obtain other forms of financial aid such as scholarships, state aid, etc. A federal grant awarded to undergraduate students who have financial need as determined by their Effective Family Contribution (EFC). FSEOG funds are limited and cannot be used to pay tuition and fees. A need-based grant awarded by the State of Florida to Pell eligible students enrolled in an eligible degree-seeking program. Funds are limited. The State of Florida has final approval on all awards. FSAG awards cannot be used to pay tuition and fees. Enroll at least half-time (6+ credit hours). Be a Florida resident and eligible United States citizen or eligible non-citizen. Be a first-generation college student. Be enrolled as degree seeking at Pensacola State College. Be enrolled for a minimum of six credit hours per term as a degree-seeking undergraduate student. How do I get a grant to go to college? You must complete the Free Application for Federal Student Aid (FAFSA) online at https://fafsa.ed.gov/ to establish eligibility for federal and state grants. How do I find out more about obtaining a Pell Grant? A Pell grant is a federal grant for undergraduate students with financial need. Please visit the Federal Pell Grant Site for more information on the Pell Grant. Pensacola State College will use your grant funds to to pay your tuition and allow you to charge your books. The residual will be paid directly to you based on your refund selection choice. Do I complete a separate application for all types of aid? The FAFSA enables the college to consider you for PELL, FSEOG, FSAG, FGMS, and is the first step to determining college work study eligibility. For information on Direct Loan please view the Student Loans Tab on this page. What happens if I withdraw from college or quit attending classes? Prior to withdrawing, a student must contact the Financial Aid Office for counseling. All students receiving federal financial aid are required to repay all or part of any grant or loan received when withdrawing prior to completing more than 60% of the term. Students who are withdrawn from courses after the end of schedule adjustment will be billed by the college and will be unable to register for any future term. All costs of collection including reasonable attorney fees will be the responsibility of the student. Did you know that Pensacola State College offers over 240 scholarships available to eligible students? We have a variety of scholarships including need based, merit-based, program-based and many others. Read the information below to see how to apply for a scholarship and discover scholarships for which you may be qualified. *To be eligible for scholarships from PSC, new students will need to apply for admission. Students may receive an award for a limited number of semesters. Summer Semester 2019 – Scholarship applications should be submitted AND student should be registered by April 12, 2019. Will I need to fill out additional forms? What happens after I submit my scholarship application? After each individual “submit by” date has passed, selection committees will meet to award scholarships. You will be notified through your PirateMail account when awarding has concluded and award information has been posted. How do I collect my scholarships? After you receive your email notice, log on to the scholarship manager to view any scholarships you were awarded. There will be a box labeled “Award Information” at the top of the page to indicate if you were chosen for any awards. Click that box and the scholarships you were awarded will all be listed. There is a drop down box that asks you to Accept or Decline the Scholarship Award. Space is provided for you to provide a reason as to why you chose Decline if that is your choice. In some cases, a thank you letter may be required. There will also be a drop down menu for the Thank You Letter and how to complete it. The completion of this task will be reported to our department and your award will be applied to your student account for your use for tuition and fees and in some cases books. These awards are not disbursed to personal student bank accounts. Read the information below to discover which types of loans may be right for you. *Loans require a separate application in addition to the FAFSA. Short-term loans consist of a limited number of loans made by Pensacola State College in which money is loaned for only a short period of time within a single semester. Must be repaid by the due date. Maximum loan does not exceed $700. A service charge applies to all loans. How do I qualify for a short-term loan? Be 18 years of age or older, otherwise, parent or guardian signature is required. A photo I.D. is required, i.e. valid driver’s license, military identification, or passport. Have at least a 2.0 (“C”) cumulative grade point average on all post-secondary coursework at Pensacola State College. Maintain satisfactory academic progress (the maximum time frame is not applicable). If the student is on “academic warning” and is enrolled at Pensacola State College, he/she must wait until grades from the current term are posted before a short-term loan can be obtained for an upcoming enrollment period. Have no delinquent financial obligations to the college, i.e. Library fines, parking fines. Not have an outstanding defaulted loan or grant overpayment for any federal or state student aid programs. Enroll in a minimum of three college credits, vocational credits, developmental education, or vocational preparatory courses. Be able to demonstrate ability to repay the short-term loan by the due date. What are the Short-Term Loan Procedures? Loans are secured by a Promissory Note. Students are responsible for reading and understanding the conditions of the Promissory Note. The Promissory Note includes an authorization permitting Pensacola State College to withhold an amount equal to the short-term loan plus accrued interest and service charges from any funds received by Pensacola State College which are payable to the student. The student must register for classes and then apply online for the short-term loan via SpyGlass. The day after the short-term loan has been authorized, the student should pay the balance due before the close of business on fee pay day and nightly thereafter. If payment of the balance due is not done, the student’s schedule will cancel. Short-term loans are processed on a “first-come, first-served” basis. Funds are limited. How much money can I borrow on Short-term Loans? Maximum loan amounts for registration fees will be based on 75% of the fees for a minimum of three credits or more, not to exceed $700. The student is responsible for paying the remaining balance of the fees. The minimum loan is $35.00. A $5.00 service charge is added to the loan and is due at the time of payment. Loans not paid in full by the specified due date will accrue interest at the rate of 5% per annum. Students with delinquent debts will not be permitted to register or to have grades/transcripts released. How do I repay the Short-Term Loan? Withdrawal from classes does not relieve the student of the student’s obligation to repay the loan. Should a student drop a course(s) during the schedule adjustment period and be entitled to a refund of fees, the refund will automatically be applied toward the outstanding loan. Delinquent loans will be prosecuted for collection. All costs of collection including reasonable attorney fees will be the responsibility of the borrower. If a student cancels classes or pays for classes with other funds the $5.00 service charge is still due. The payment due date is reflected on the Promissory Note. Payments may be made online via SpyGlass or at any campus. To help you meet your educational expenses, Pensacola State College is pleased to provide the Tuition Installment Plan (TIP). With TIP you can make college more affordable by paying for tuition and fees over time. Tuition payment plans break down your tuition balance into affordable monthly payments. There’s no interest, payment options are flexible, setup fees are affordable, and it’s easy to enroll! TIP allows you to pay your tuition in monthly payments. The earlier you enroll through TIP, the more payment options you have. *Please note: You must be a college credit student at Pensacola State College to utilize TIP. **TIP is administered for Pensacola State College by FACTS Management Co., Lincoln, NE. Your user login is your seven digit student ID number. Your password is your birth month and birth year. Visit the e-cashier to begin enrolling in TIP. (Pop-up blocker must be disabled.). The Pensacola State College Cashier’s Office is closed every Saturday and Sunday. If you enroll in TIP after 2:00 p.m. on Friday, your enrollment may not be received in the Cashier’s Office until the following Monday. This may result in cancellation of your classes due to non-payment of fees. Automatic Bank Payment (ACH)– ACH payments are those payments you have authorized TIP to process directly with your financial institution. It is a bank-to-bank transfer of funds you have pre-approved for your expenses at Pensacola State College. Payments can be made from either your checking or savings account. Payments are processed on the date indicated online and will continue until the balance due is paid in full. Credit Card Option – Many students and families have requested the option of charging their monthly tuition payment to AMEX, MasterCard, VISA or Discover Card. This enables you to take advantage of various bonus programs offered by your credit card company. If you elect to budget your expenses by using your credit card, it will be automatically charged on the date indicated online. The payment amount is specified on the TIPS agreement and will continue until the balance due is paid in full. Federal Direct Loans consist of loans acquired through the federal government for educational expenses to be repaid at a later date. Loans are usually low-interest and do not need to be paid back until a student is finished with school or ceases to be enrolled in six credits in their degree. Federal government provides these loans. May be subsidized (no interest accrues on the loan while in school) or unsubsidized (interest accrues on the loan while in school). Must be enrolled in at least 6 credit hours in your current program of study to apply. Must enroll in only courses required to complete your declared Pensacola State College program of study on file with the Admissions Office. Repayment begins six months after leaving school or your enrollment drops to less than half-time. Loans taken out by parents for your educational expenses, which are credit based. Federal Direct Subsidized/Unsubsidized Loan funds due to the students will be disbursed based on terms and session of enrollment for each semester. How do I find out how much I owe on my federal student loans? Please go to https://www.nslds.ed.gov/nslds/nslds_SA/ for information about federal student loans. Military veterans may be eligible to receive educational benefits from the Department of Veteran Services. Contact the Veteran Services staff at Pensacola State College to process all required paperwork to ensure all education benefits will be received in a timely manner. VA Vocational Rehabilitation serves students with service-connected disabilities who are attending Pensacola State College. Department of Veterans Affairs pays for tuition, books, supplies, and other items necessary for attendance at Pensacola State College. The Vocational Rehabilitation Program is designed to assist veterans in finding suitable employment. 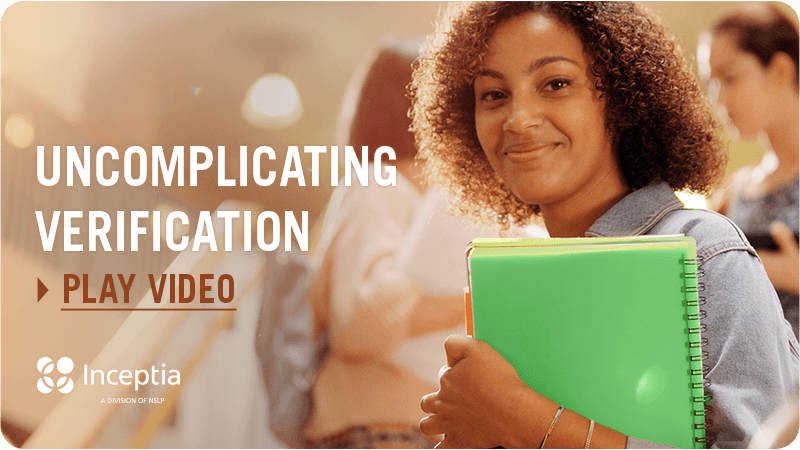 What VA Education Benefits Are Available At Pensacola State College? As A Veteran, How Do I Obtain Help Preparing for College? The Veterans Upward Bound (VUB) program can provide academic and other support services to assist you with preparing for college admission and attendance. The VUB office is located on the Pensacola Campus, Bldg. 6 Rm. 651. For more information 484-2068 or visit the Upward Bound site. The Veteran Student Support Services program is part of a group of programs provided by the U.S. Department of Education to help students do well in college. This program provides tutoring/mentoring, money management assistance, college visits and cultural event field trips, academic advising & grants to eligible veteran students. Questions? Call 850-484-1971, visit Bldg. 6, Rm. 669 on the Pensacola campus or go to Veterans Student Support Services. All chapters of VA education benefits must be applied for or updated at benefits.va.gov/gibill/ through the Vonapp application program. Ensure to save the confirmation number upon completion. Call, email or stop by the Veteran’s Services Office with your confirmation number to get started. May I Use My Chapter 31, VA Vocational Rehabilitation & Employment Benefits? Prior to registering for any classes, you must make sure that your VA VR&E counselor has provided the required documents to Pensacola State College’s Veteran Services office. 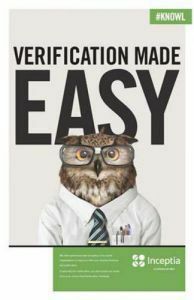 After the required documents are received, verified, and processed, you will be permitted to charge tuition, fees, books, and supplies against your eligible benefits. I'm Eligible For VA Benefits. How Do I Obtain A Deferment of Tuition and Fees? Florida law allows Pensacola State College to issue a deferment (postponement) of tuition and fees once each academic year for Chapter 30, 35, & 1606 VA students and once per semester for Chapter 33 VA students. You may apply for the deferment online through Spyglass or through the Veteran Services/Financial Aid office on any campus. The deferment must be repaid regardless of the status of your VA benefits. Where Can I Find More VA Information? Federal Work-Study is a campus based program that provides jobs for students who demonstrate financial need. Schools are given a limited amount of funding to award to eligible students. Eligible students who are awarded funds through this program can then apply for and be hired into work-study jobs, on campus or in the community. To be considered for a Federal Work-Study job, you must complete a FAFSA. Students may work on campus at approved locations. Students earn minimum wage and work 10-20 hours per week. Work schedules are arranged around the student’s class schedule. Students are paid bi-weekly for hours worked. FCWS awards do not defer tuition and fees. Students must only be enrolled in courses required for their program. Students must be enrolled in a minimum of 6 credits each semester. FWS is a federal program which helps eligible students acquire employment in order to help pay for the costs associated with attendance at Pensacola State College. The Office of Student Job Services places students in these work assignments. The office is located in Building 6, Room 641 on the Pensacola Campus. For more information go to the Student Job Services webpage or call Student Job Services at 484-1654. FWEP is a need-based program for eligible Florida citizens who are students. This work experience will complement and reinforce educational and career goals. The Office of Student Job Services places students, who are Florida citizens, in these work assignments. The office is located in Building 6, Room 641 on the Pensacola Campus. For more information go to the Student Job Services webpage or call Student Job Services at 484-1654. Each student will have his/her progress monitored beginning at the end of the first term of enrollment as a degree seeking student and at the end of each semester thereafter. If the student has not met the “Require Standards” (see next section), he/she will be placed on Financial Aid Warning for one (1) semester. If the student fails to regain the Financial Aid Satisfactory Academic Progress at the end of their warning semester their aid will be suspended. Student must have completed a minimum of 67% of all credits attempted. Successful grades for this policy are: A; B+; B; C+; C; D+; D; and P.
Students otherwise eligible for Federal or State financial aid and enrolled in an AA or AS degree program who have attempted more than 150% (110% for state aid) of the number of credit hours required in their program of study are ineligible for federal/state financial aid. Changes of programs do not extend eligibility beyond the 150% credit hour maximum. Students otherwise eligible for Federal or State financial aid and enroll in an approved certificate program who have attempted more than 150% of the number of credit hours required to complete their program are considered to be making unsatisfactory academic progress. Changes of program do not extend eligibility beyond the 150% credit hour maximum. Students otherwise eligible for Federal or State financial aid and enrolled in a baccalaureate degree program who have attempted more than 150% (110% for state aid) of the number of credit hours required in their baccalaureate program of study are considered to be making unsatisfactory academic progress and ineligible for federal/state financial aid. Changes of programs do not extend eligibility beyond the 150% credit hour maximum of 180 credit hours for baccalaureate degrees. Required preparatory course work can be counted in determining a student’s enrollment for financial aid purposes. However, financial aid recipients are limited to a maximum of 30 semester hours of preparatory course work. The completed appeal packet with attached documentation must be submitted to the Financial Aid Office located on either the Pensacola, Warrington or Milton Campus. If the appeal is granted the student will be required to meet certain conditions in order to continue their eligibility. If denied, the student may not reappeal during that current academic year. Should the student disagree with the Appeal Committee decision and have substantive additional documentation that was previously not submitted, the student may request in writing that their appeal packet be forwarded to the Director of Financial Aid/Veteran Services/Scholarships for further consideration. The student must submit this request within 10 days of the date on their letter of denial and must provide additional substantive documentation for the circumstances that were beyond their control which caused their failure to meet the standards required for financial aid eligibility. The Director will notify the student in writing of their decision via PirateMail with a copy to their home of record on their college application. The denial decision by the Director of Financial Aid/Veteran Services/Scholarships may be appealed by submitting a written notice of disagreement within 10 days of the date on their denial letter to the Director of Financial Aid/Veteran Services/Scholarships with the request that the student’s denied appeal paperwork be provided by the Director to the Vice President For Business Affairs. The decision of the Vice President For Business Affairs is final and is not appealable to the United States Department of Education. The student should allow four (4) weeks for the appeal process to be completed and longer if the appeal is submitted during a period of registration. Change your address, phone number, and/or name. Plan to withdraw or stop attending any or all classes. Choose to never attend a class for which you registered. Be a U.S. citizen or eligible non-citizen. You must establish eligibility every year. Make application to Pensacola State College. Be officially accepted to an approved program of study. Not all programs are eligible for federal and state financial aid. Take all required placement testing. Use Data Retrieval Tool on the FAFSA. Check your Pirate Mail and SpyGlass account regularly as this is the College’s primary form of communication with students. Check the status of your Student Aid Report (SAR). Get to know the types of awards and scholarships you may be eligible for: Grants, Scholarships, Loans. Know your Financial Aid responsibilities. Is my financial aid renewed each academic year? No. You must reapply each academic year. The financial and household information that you provide on your FAFSA is used to determine your eligibility for federal student financial aid. The EFC is an estimate of your resources for college. Prior to withdrawing, a student must contact the Financial Aid office. All students receiving federal financial aid are required to repay all or part of any grant or loan received when withdrawing from or abandoning their attendance in all courses prior to completing more than 60% of the term. The amount required to be repaid is determined by the amount of aid disbursed, the amount that could have been disbursed, and the percentage of the enrollment period the student completed. Students who withdraw or are withdrawn from courses after the end of schedule adjustment will be billed by the college for those hours and will be unable to register for any future term until their debt to the college is paid. All costs of collection including reasonable attorney fees will be the responsibility of the student. Do I need to complete a separate application for all types of Financial Aid? The FAFSA enables the college to consider you for PELL, SEOG, FSAG, and is the first step to determining college work study eligibility. For information on Direct Loan please view the Student Loans Tab on this page. What is Pensacola State College's school code? Using the DRT on the FAFSA will ensure accuracy and prevent additional required documentation. Must I enroll full-time to receive financial aid? No. Your EFC and enrollment level determine Pell Eligibility. To be eligible for the FDLP (Direct Loan) and the Federal Work-Study, students must enroll at least half-time (6 credit hours) each semester. Be accepted as a Pensacola State College degree-seeking student taking courses required for their AA, AAS, AS, or baccalaureate degree program or be accepted as a Pensacola State College certificate-seeking student in an eligible Vocational Certificate Program. Be making satisfactory academic progress for financial aid purposes (FASAP). Be a U.S. citizen, permanent resident alien, or an eligible noncitizen. Not owe a repayment or overpayment of a Federal grant. Not have a resisting financial obligation to Pensacola State College. Have a standard high school diploma or GED certificate. Not have been convicted for sale or possession of illegal drugs during a term in which they received Title IV federal financial aid. How will I receive my aid? For details, go to the Financial Aid Disbursement Calendar. Note: The Online Scholarship Application does not work in Internet Explorer versions 10 and older due to security standards. Please copy and paste this link in another browser such as Chrome, Safari or Firefox to access the application.